Kids Competition in honor of National Aviation Day . . . Win a Biplane Flight! OPEN TO KIDS FROM 6 TO 16! Have your mom/dad/sister/brother or a friend video your explanation or theory of how airplanes take off and fly using a smart phone or tablet. Post on your or your family’s Facebook or Instagram tagging (@FunFlights) or Twitter page (@funflightssd) and use a hashtag (#FunFlights). Send an email to FunFlightsSD@gmail.com – giving your name and age. The two age categories are 6 to 10 and 11 to 16. All entries must be received by noon on Friday, August 18, 2017. Orville and Wilbur Wright were pioneer aviators in the United States. Orville was the first American to successfully fly an airplane on December 17, 1903 at Kitty Hawk, North Carolina. This inaugural flight changed the skies forever and President Franklin D. Roosevelt created this special day in 1939 with a Presidential Proclamation honoring Orville (it’s his birthday) and his brother! With our competition, we’re hoping to inspire the next generation of pilots, designers, engineers and dreamers with the wonder of aviation. *Combined weight of both passengers cannot exceed 400lbs. Fun Flights operates at McClellan-Palomar Airport in Carlsbad along San Diego’s North Coast! 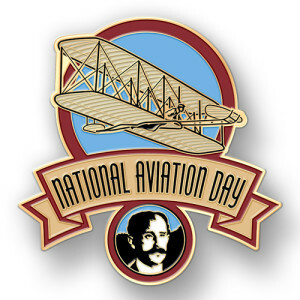 Posted in Uncategorized | Comments Off on Kids Competition in honor of National Aviation Day . . . Win a Biplane Flight!